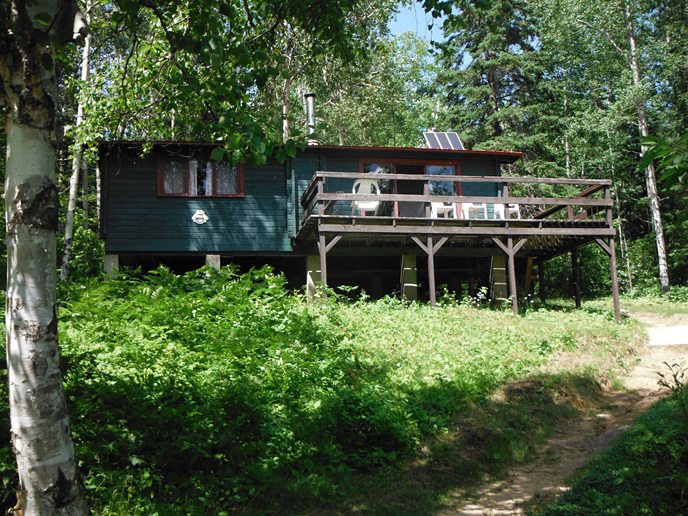 The Panabode cabin is a square-timbered cabin made from cedar suitable for up to six people. 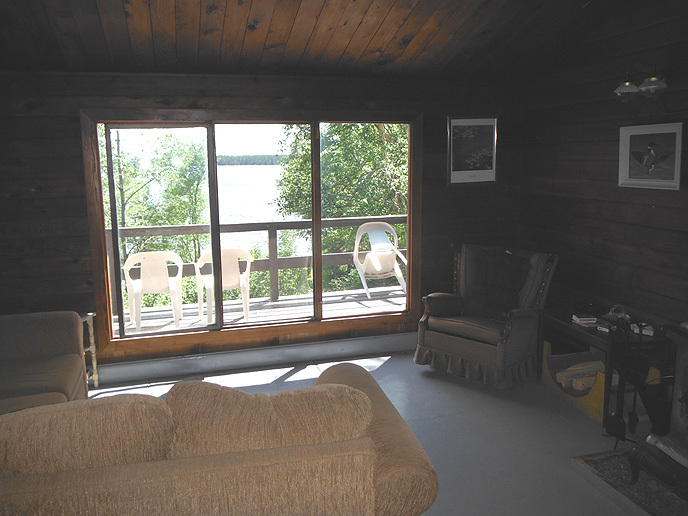 As soon as you walk into the cabin, you smell the aromatic scent of cedar. 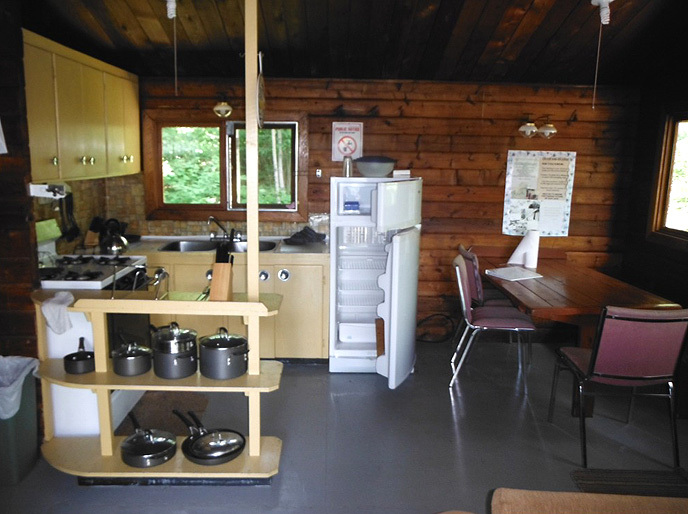 The cabin is equipped with a kitchen complete with propane refrigerator and stove. The four-piece bathroom with hot and cold running water is just off the bedrooms. 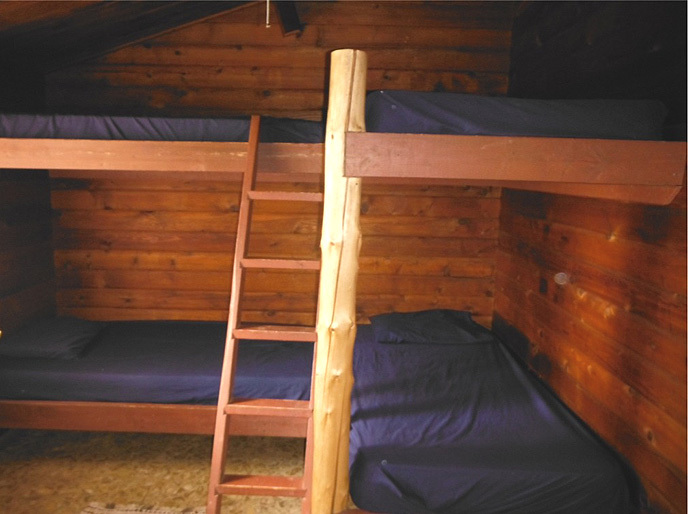 One bedroom has a bunk with double bed on bottom, and the other bedroom has two sets of bunk beds with one having a double on bottom. 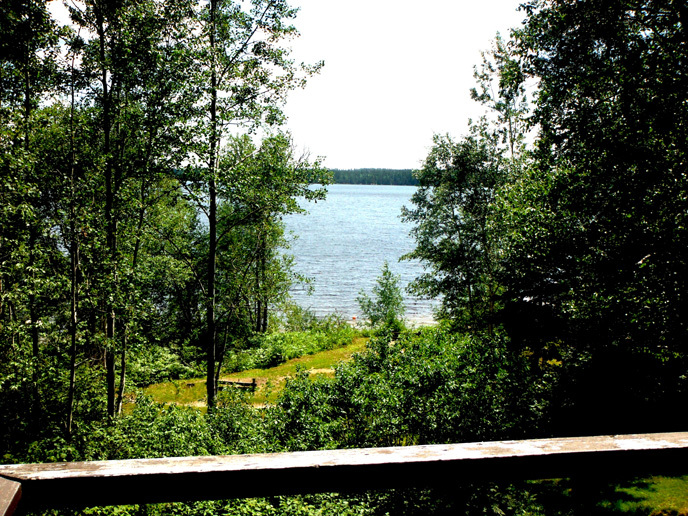 This cabin has a large sun deck which overlooks a spectacular view of the lake.